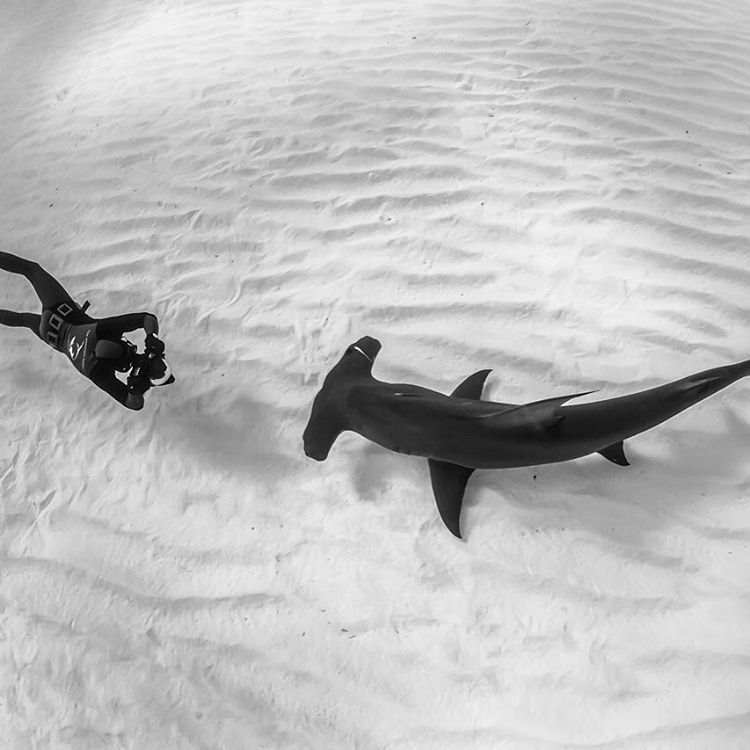 Fred Buyle is a freediver and uw photographer born in 1972. Since his childhood he has been in contact with the sea, spending several months a year on the family’s sailboat. At the age of 10, he discovers free diving. After years of practice, he becomes scuba diving instructor and started to teach free diving in 1991. 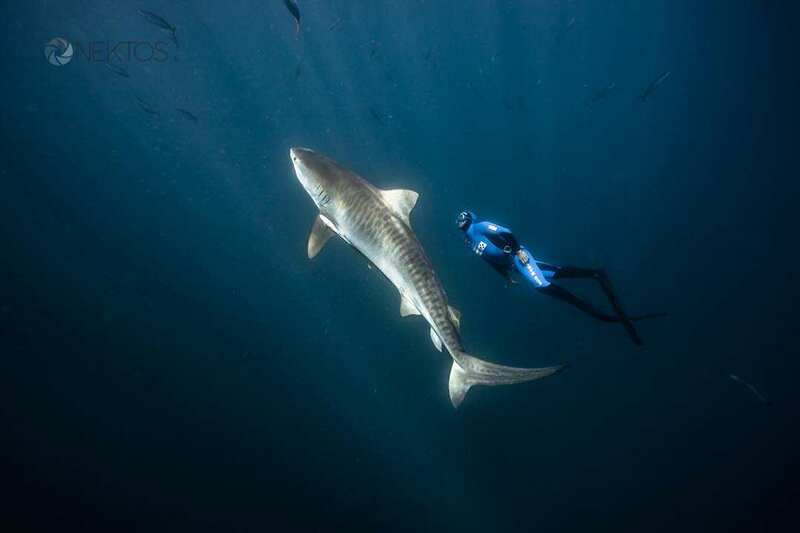 He sets his 1st world record in 1995 and then decides to dedicate his life to freediving. He achieves three more world records between 1997 and 2000. In 1999, Frederic passes the100m’s mythical barrier on one breath of air, being the 8th person to do so. 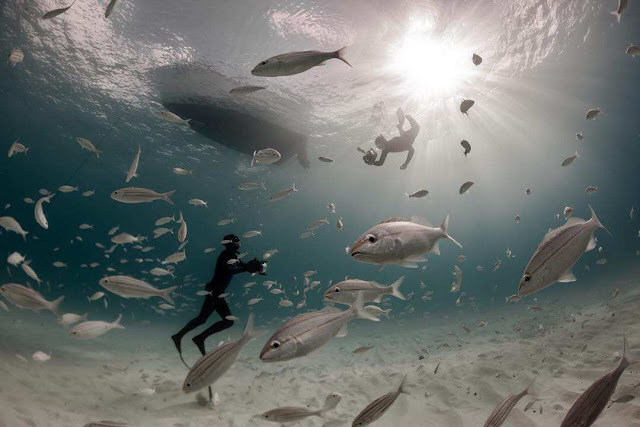 In 2002, he starts underwater photography to show the beauty of freediving and the underwater world. Fred comes from an artistic background. His grand grand father was a pioneer of photography in the 1890’ as well as art collector, his grand father was a painter and his father an advertising and fashion photographer during the 60’. His work shows these various inﬂuences. 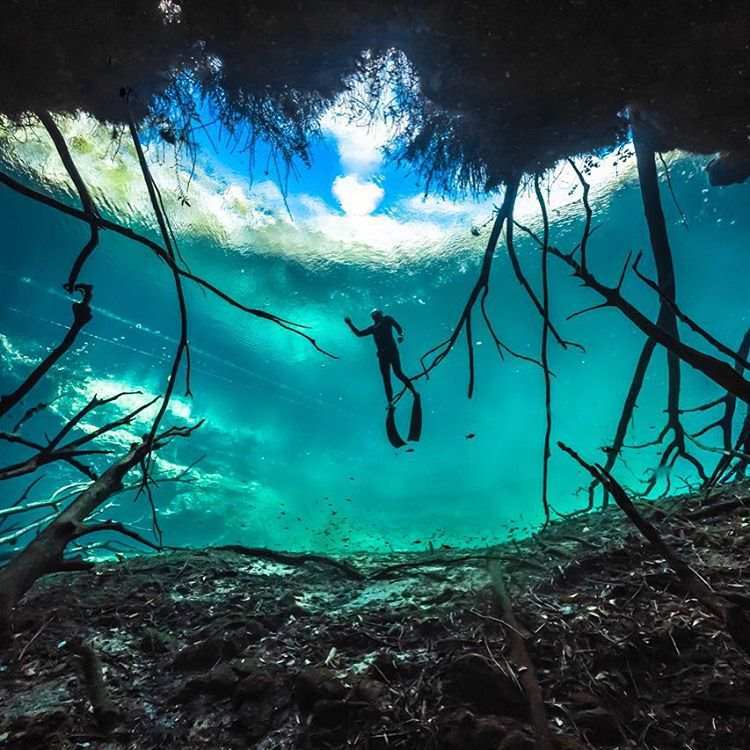 All his pictures and images are taken in freediving action and using only available light in order to minimise the impact on the ecosystem. To take his pictures Fred uses a simple formula: the water, available light, a camera and one breath of air. A freediver is able to capture unique moments thanks to his simple equipment and ease of movement. 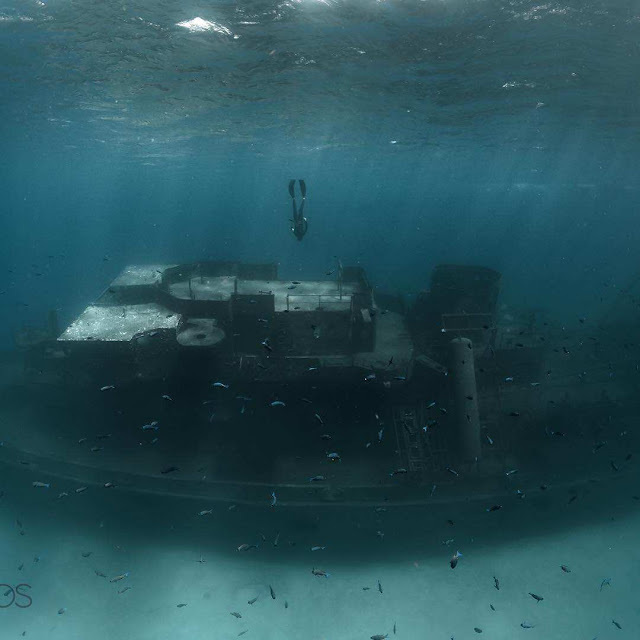 Fred has been taking pictures down to 60m on single breath of air on remote locations where scuba divers can’t access. 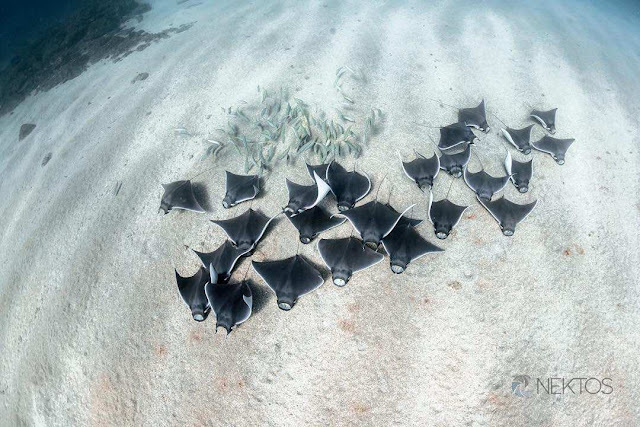 What makes Fred’s photography different from any other underwater photography is his rather zen approach to this media. Concerned by conservations issues for many years, in 2005 Fred Buyle starts to work with marine biologists to assist them in their field work. 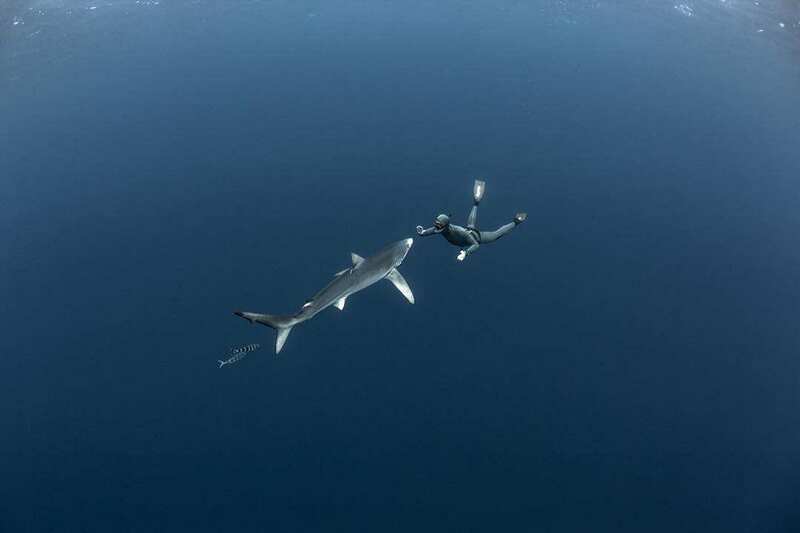 He uses his freediving abilities to approach the animals and perform tasks such as acoustic and satellite tagging or DNA sampling. Fred collaborated with teams from Colombia, Mexico, France, UK, Philippines and South Africa to provide them his practical knowledge and experience in the water with marine life. He worked with great white sharks, great hammerheads, scalloped hammerheads, lemmon sharks and ferox sharks, humpback whales, spermwhales and orcas amongst others. 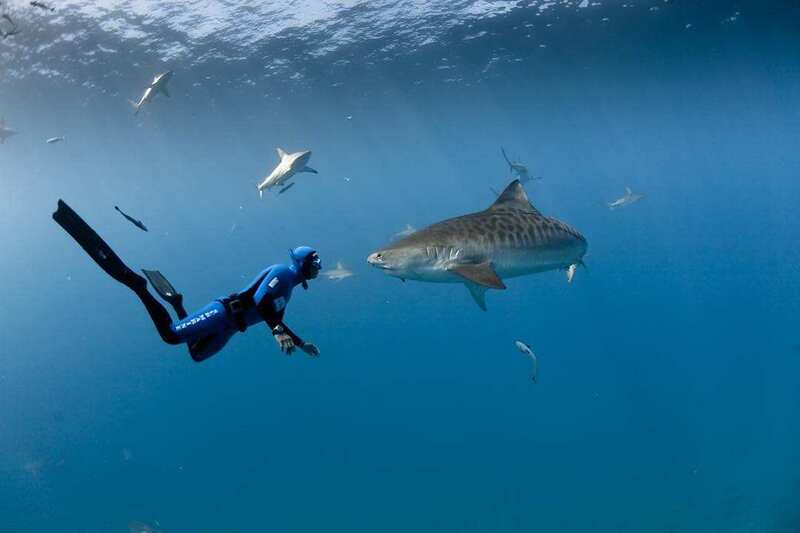 He always uses freediving and no protection cage to minimize the disturbance on the animals. During these missions, Fred documents the field work to contribute to conservation on a larger scale through talks, conferences. Numerous NGO’s are using his material for their conservation campaigns. His approach to conservation pushes forward the concept of positive imagery versus the catastrophism widely used in the media nowadays. To make such variety of piece of writing is actually remarkable, every day I read your blogs and bestow my statement for that at this time this article is moreover enormous and so interesting. You are really wonderful in such a way.